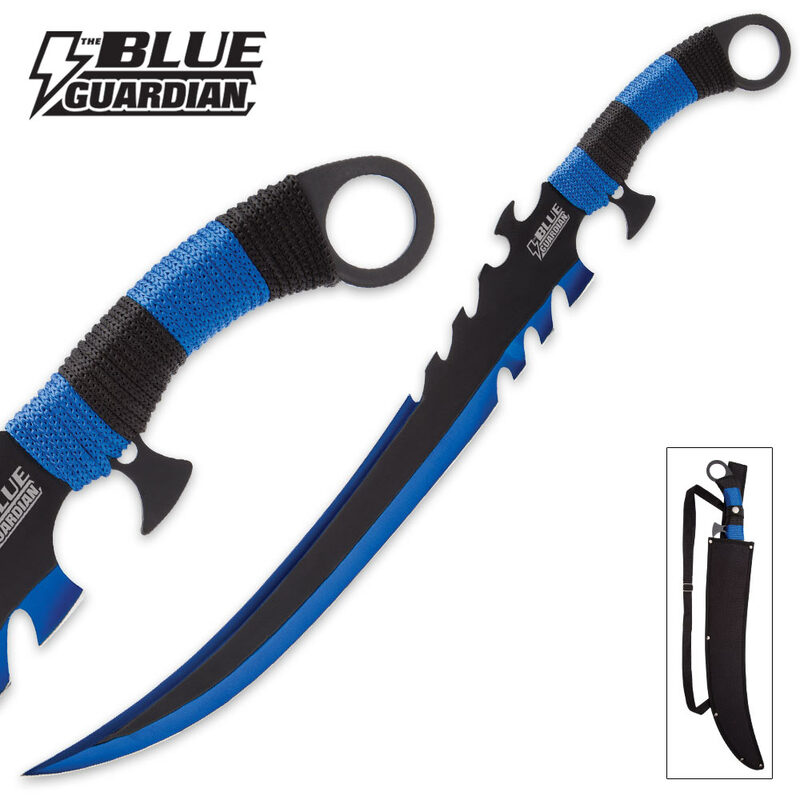 Aptly named, our Blue Guardian Thistlethorn Fantasy Sword has sinister, razor sharp barbs at the top of the spine and on the underside of the blade just before the edge. This is just one of the many details on this sword that make it an impressive, distinct fantasy piece. 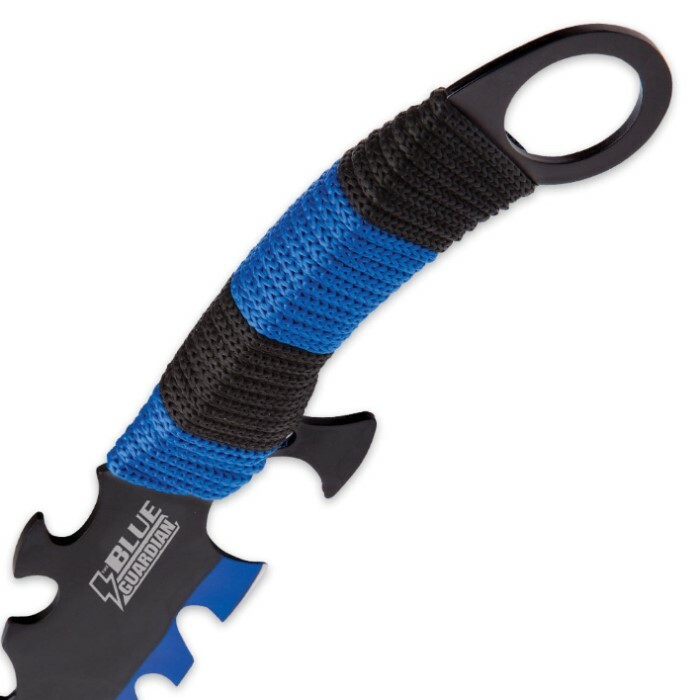 The Thistlethorn is crafted from one solid piece of black and radiant cobalt-blue stainless steel, with the incredibly sharp blade measuring in at an imposing 18”. The black and blue cord wrap complements the blade. 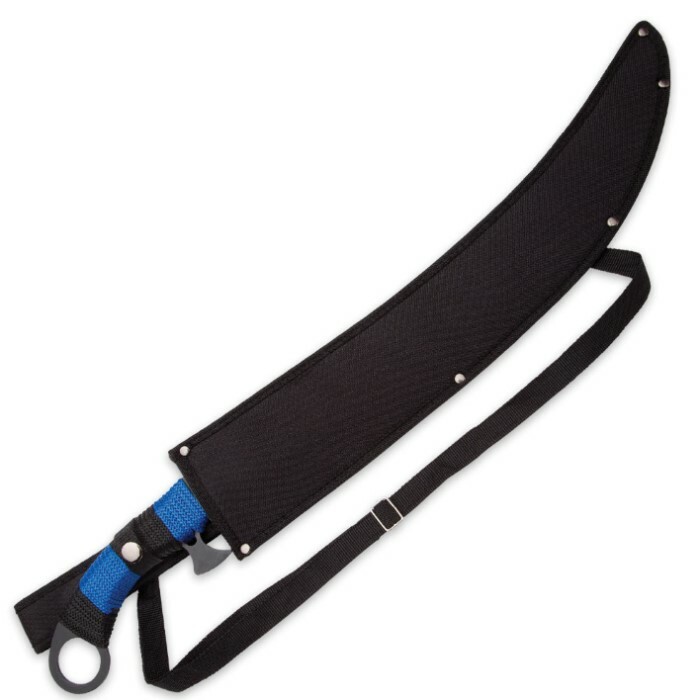 Includes a sturdy nylon sheath with shoulder strap and belt loop. Measures 25 1/2” long overall. This sword is super cool looking. Sharp too. Cuts through things very well. Bought the red one as well. Just as sharp. Black Legion rules! Thanks BudK!